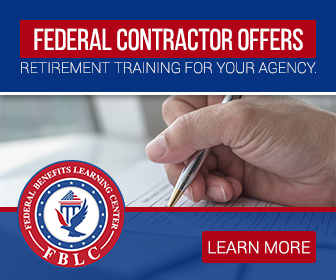 There are many complexities involved in retiring from a Federal Government and other Public Sector positions, most particularly related to the benefits you are entitled to upon retirement. Here is a series of Questions and Answers (Q&As) for some of the most common issues that federal employees and retirees are interested in. Q: How is the tax-free portion of my Federal Annuity determined? A: You can use the government’s online calculator to compute the tax-free portion of your annuity. It is at the following link: http://apps.opm.gov/tax_calc/index.cfm. Here you can read about how the tax-free portion of your federal retirement annuity is determined. Your retirement contributions are shown on the 1099R form the government sends you each January for tax filing purposes. You can find information about computing the taxable portion of your annuity by going to IRS Publication 721 (Tax Guide to U.S. Civil Service Retirement Benefits) on the Internal Revenue Service website. Search for Publication 721 and refer to “Part II Rules for Retirees”. You will find detailed information for disability and non-disability retirees, along with worksheets for computing the taxable portion. If your non-disability annuity started on or after July 2, 1986, a portion of each annuity payment is taxable and a portion is considered a tax-free recovery of your contributions to the retirement fund. If you retired under the disability provision, the disability annuity you receive from CSRS or FERS is taxable as wages until you reach your minimum retirement age. Your retirement contributions are shown on the 1099R form the government sends you each January for tax filing purposes. Q: Where can I view a statement for my federal retirement annuity payments online? A: Use Services Online to view your monthly annuity statement. This statement shows your current annuity payment, including the gross amount, up to 35 possible deductions or additions, and the net amount. The online statement reflects changes you made through the previous business day, unless the changes were made after the date for updating the monthly payment. Any changes you made after that date will be reflected in the statement for the next month’s payment, when the change would be effective. Please refer to the government’s payment schedule for information on the dates by which changes must be made in each month’s payment. Your statement will also show required payment adjustments the government makes, such as cost-of-living adjustments, health benefit premium changes, federal income tax withholding table changes, and life insurance premium changes. Q. When will I get my first payment? A. In most cases, as soon as the government gets all of your retirement records, interim payments are provided. These payments represent a portion of your final benefit and are usually made on the first business day of each month. The government tries to provide you with income until they finish processing your application. Q. I would like to have State taxes withheld from my retirement monthly payment. How do I accomplish this? A. State tax withholding cannot be withheld from interim annuity payments. If you are in interim pay (i.e., your case has not been finalized), contact your State tax office for guidance. Once your annuity is finalized, you must specify the dollar amount of State tax you wish to be withheld from your monthly payments. The minimum amount that can be withheld for State income tax is $5. 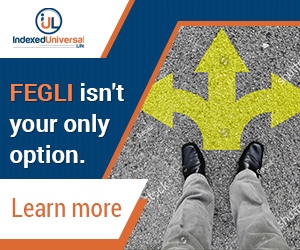 Use Services Online to start, change, or stop the State tax withheld from your annuity payment. You can also call or write to the Office of Personnel Management to change your withholding amount. If you write, your letter should include your full name, your claim number and the monthly amount in dollars you want withheld. If you do not know the monthly amount you want withheld, contact your State tax office for information or assistance. Not all States participate in the voluntary State tax withholding program. Check the list of State tax offices for information about participating States. If your State does not participate, contact the State tax office for information or assistance. Q. How can I estimate the amount of my Federal income tax withholding? Q. I have divorced. Is my former husband or wife eligible for a survivor benefit? Your annuity may be reduced if your former spouse was awarded a survivor annuity by a qualifying court order. If you retired on or after May 7, 1985, the government will honor the terms of a court order that requires you to provide a survivor annuity for an eligible former spouse for a marriage dissolved on or after May 7, 1985. If you are divorced after retirement from a spouse to whom you were married at retirement, the government will honor the court order to the extent that your annuity was reduced at retirement. If you did not elect a survivor annuity for that person at retirement, your annuity will not be reduced. If you retired before May 7, 1985, the government will honor the terms of a qualifying court order that requires you to provide a survivor annuity for an eligible former spouse in connection with a marriage that was dissolved on or after May 7, 1985, but only if you were married to that person at retirement and elected to provide a survivor annuity at that time or you r were married to that person at retirement and elected to provide a survivor annuity before May 7, 1985. Q. How do I sign up for direct deposit? A. Use Services Online to sign up for direct deposit, or to change the account or bank where your payment is sent. You will need your claim number and Personal Identification Number (PIN) to use the self-service website. You will be asked whether your account is a savings or checking account and to provide your account number and the routing number for your financial institution (this is found next to your account number on the bottom of your check). You should contact your financial institution for assistance in getting the routing number if you are not sure. When you make a change, the government will mail you confirmation of the change. You can also call or write to sign up for direct deposit or change your account or bank. See the following site: http://www.opm.gov/retirement-services/contact-retirement/. If you write, your letter should include your claim number. Or, you can submit a Standard Form 1199A, “Direct Deposit Sign-Up Form,” which is available at your bank. When you change the account you use for direct deposit, keep the old account open until a payment is posted to the new account. This will prevent having the payment returned if there is a problem with the new account. Q. 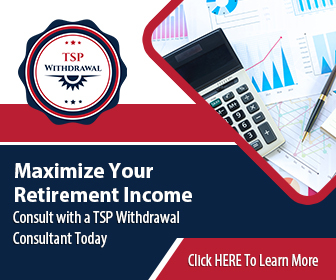 How long does it take to withdraw my money from the Thrift Savings Plan (TSP)? If none of the above, retiree’s parents or to the surviving parent. If none of the above, the executor or administrator of the retiree’s estate. If none of the above, to any other of the retiree’s next of kin who is entitled under the laws of the state in which the retiree resided at death. Q. Where can I find more information about Federal income taxes? A. For more information regarding Federal income taxes, visit the IRS website at www.irs.gov or call the IRS at 1-800-829-1040. Q. 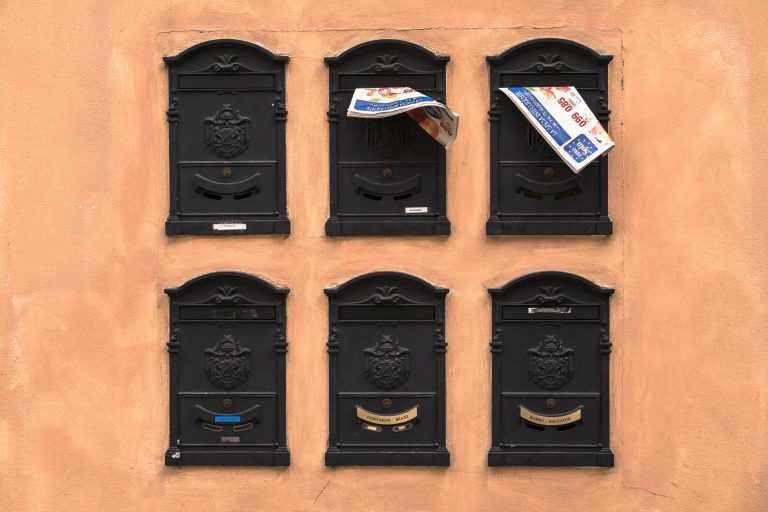 How do I change my address for annuity payments? A. You can use Retirement Services Online at https://www.servicesonline.opm.gov/. You will need your claim number and Personal Identification Number (PIN) to use the self-service website. If you forgot your PIN, you can request a new one by email here: https://www.servicesonline.opm.gov/RequestPassword.aspx. Alternatively, you can call the Retirement Operations Center at 1-888-767-6738 and request a new PIN. The phone lines are open from 7:30 am to 7:45 pm (Eastern Standard Time). It is a busy phone number so you are encouraged to call early in the morning or after 5:00 pm when the phone lines are less busy. Q. Can I change my survivor benefit election after retirement? 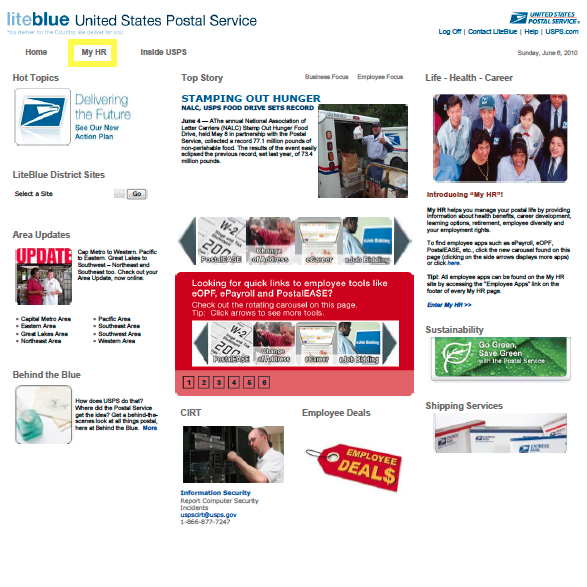 U.S. Office of Personnel Management Retirement Operations Center, Post Office Box 45, Boyers, PA 16017. 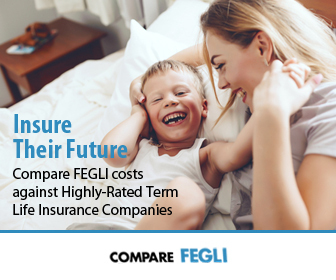 Your first regular monthly payment is the first one paid in an amount other than the estimated amount or the adjustment payment after the government has computed your regular annuity amount. If you change your election to anything other than the maximum, you must obtain your spouse’s consent or a waiver of the consent requirement. Please visit the following site for information about consent or waiver: http://www.opm.gov/retirement-services/retirement-faqs/#4. After the 30-day period has passed, you can change your election only under the following circumstances: If it is more than 30 days from the date of your first regular monthly payment, but less than 18 months from the beginning date of your annuity, you may change your decision not to provide a survivor annuity, or you can increase the survivor annuity amount. You must also pay a one-time payment representing the difference between the old and new election amounts. This one-time payment also includes a percentage of your annual benefit. The percentage is 24.5% of your annual benefit if you are changing from no survivor benefit to a full survivor benefit or 12.25% if you are changing from no survivor benefit to a partial one. 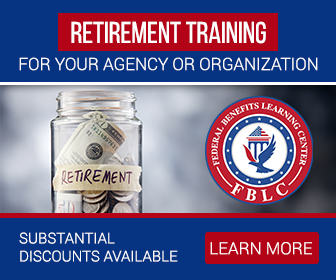 Interest is also charged at the rates shown in the table at the following site: http://www.opm.gov/retirement-services/benefits-officers-center/reference-materials/#url=Glossary#I. Your written election should include your claim number, the amount of your new survivor election, and your spouse’s name, Social Security number, date of birth, and a copy of your marriage certificate. Q. Can I buy back my military leave? A. Complete information pertaining to military service can be found in the CSRS/FERS Handbook at www.opm.gov/retire/pubs/handbook/C022.pdf. If you are a current employee, contact your personnel office for information. Q. I have moved. What changes do I need to make to my benefit?